Walking down the Elgeyo Escarpment through Kacheseker village is always a tricky endeavour, as you head lower and lower the houses and fields become fewer, and the thorny scrub that much denser. The heat and flies also increase, with the simmering haze of the valley floor far below seeming to radiate the intense sunlight back up at you. Before long, the grassy swards and cool forests of the Cherangani hilltops seem like a distant, and much desired, memory. The Marakwet residents of Kacheseker rarely undertake this journey nowadays, though as little as 30-40 years ago it was a common activity, as people carried honey, dried meat and grain to the markets in the Kerio Valley, and led their cattle down to much-needed natural salt licks every three months or so. The new road network, and the availability of commercial salt, has more-or-less negated the need for these journeys, with once-busy footpaths slowly dissolving back into the shifting sediments of the Escarpment. Modern Kacheseker clusters on the Escarpment-top at Embobut, where the best agricultural land, infrastructure and, importantly, other people, are to be found. Over many sweaty weeks of hiking, however, my surveys revealed a pattern of settlement rather different to this modern scene. Admittedly 11:00 am is a little early for a lunch of kichwa kwa kondoo (sheep’s head), especially after a litre of sweet chai and two chapattis for breakfast. However, the opportunity to interview our host for the day Thomas, the son of a community elder who I had previously spoken to on numerous occasions, was too good to pass by. What struck me during our conversation was his passion for delegitimising his father’s claim to the area in forest that his family had lived on prior to the 2013 evictions. As indicated by the above quote, Thomas repeatedly stated that his father Musa had not been born in the forest, but rather on the Elgeyo Escarpment that plunges down to the Kerio valley a few kilometres to the east. He had acquired a permit purely to graze his cattle in the forest glades and, like the other elders, had decided to take up permanent residence inside the forest against the Government’s permission. Thomas’s narrative is particularly unique given that he himself was born in the conservation area and has a stated interest in claiming land rights to his birth place. Yet he remained adamant that this was not his family’s original home. A new article by Anna Shoemaker, Matthew Davies and Henrietta Moore published in the Journal African Archaeological Review explores the history of food processing (and other substances) in Marakwet through various forms of grinding and pounding. The article traces the history of various food processing practices and particularly changes that occurred with the introduction of different varieties of maize and the introduction of diesel powered flour mills. The article also considers changing communities of practices from more communal forms of crop plant processing to more individualistic/household processes and also differences within the Kerio Valley between the Marakwet and the Pokot. The article also usefully inventories the different substances, especially food plants processed using grinding stones in Marakwet. The full article can be accessed here. 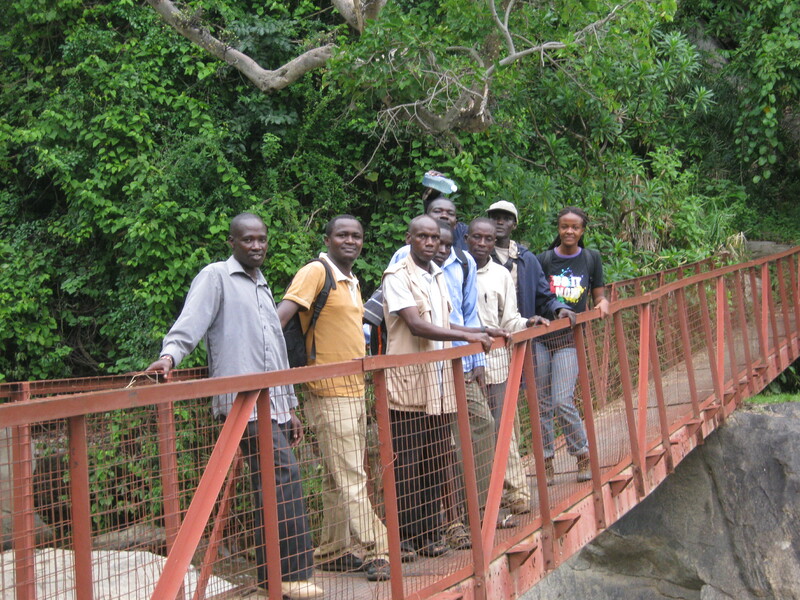 Embobut Forest Reserve is the largest of the 13 blocks that constitute the Cherangani water tower. The area is one of the major water towers (catchment basins) in the Cherangani Hills. This area, collectively with other water towers, supplies Eldoret town and its environs. The Embobut River flows along the floor of Kerio Valley, joining the Kerio and flowing into Lake Turkana to the North. Embobut Forest Reserve lies between latitude 01°15′N and longitude 35°35′E. Documenting the current plant species used by the local community and assessing potential uses of the species occupying the Embobut River Basin and adjacent areas. As we stooped through the twisted doorway into the cramped room, smoke flooded my nostrils and stung my eyes. Two maize cobs sat smouldering near the entrance, forming an oppressive ceiling that swirled under the thatch roof above. To the right stood a bed, the bare slats of which supported the frail man who Joseph, my research assistant, and I had come to interview as a part of my fieldwork in Embobut. He peeped from under a fraying blanket, chin resting in his hands and skin hugging his bones tightly as he turned and glared blankly through the gloom. Joseph knelt down next to him and conversed in the local Sengwer dialect, asking him if he had time for us to interview him about his past, before turning back to me and saying it was no use. The elderly man was delusional, suffering from dementia and insisting he was going to the forest glades to attend to his beehives. We thanked him before backing out quietly into the blinding sunshine and walking off down the hill to continue with our work for the day. In late 2013 Professor Charly French was able to collect samples and make preliminary observations on the geomorphology and soils of the Tot-Sibou region in northern Marakwet as part of the African Farming Network. These preliminary oberservations were presented on this website in a post back in 2014 – click here for further details. Since 2013 Professor French has been able to pocess the collected samples and has produced and updated research report which can be downloaded here. Many thanks to Charly for all his hard work! In the following article, Marakwet Heritage Project lead investigator Henrietta L. Moore discusses the growing recognition of agroecological methods. In December 2013 I was fortunate to be able to make some preliminary observations on the range of plant foods used in the Tot region of Marakwet, Kenya. I was guided in my observations by Ms Helena Chepto from the Marakwet research station. Have a look at this new article published in the Antiquity on-line project gallery which highlights the participatory community research methods being used in the Marakwet Heritage Project.